Home » Celebrities » Shocking Death of Celebrities. By Sparky in Celebrities on July 9, 2009 . Love or hate Michael Jackson, the entire world was stunned by his death …… Although there have been plenty of celebrity deaths, there aren’t that many that have sent shockwaves of this magnitude across the globe. The deaths of Janis Joplin, Jim Morrison and Jimi Hendrix were all tragic, but with their heavy drug use and hard-living lifestyles, they maybe weren’t so shocking. And we’ve lost a lot of wonderful people to cancer, but since we have generally been aware that those people had potentially terminal illnesses, they weren’t so surprising either. The five deaths below were totally unexpected (to most, anyway) and surprised the world much like Michael Jackson’s death has. 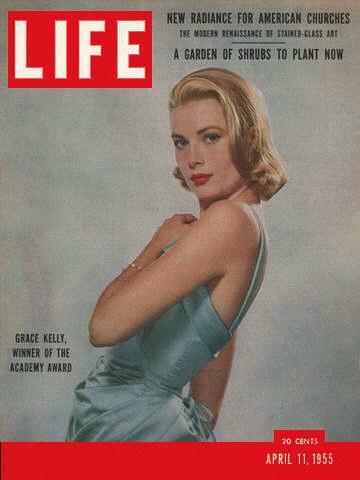 Grace Kelly’s death in 1982 was a big surprise. The Princess of Monaco, who was only 52 and seemingly in perfect health, suffered a stroke while driving with her daughter Princess Stephanie. The timing couldn’t have been worse – it was just as she was driving on the edge of a mountainside, and the stroke left her incapacitated and unable to control the car. It careened off the edge of the mountain and rolled down, flipping over multiple times. Stephanie suffered a cervical fracture and some bruising, but Princess Grace didn’t recover from her injuries. The world was stunned because the reports from Monaco originally said that she had broken her collarbone, a leg and some ribs, but was in stable condition. 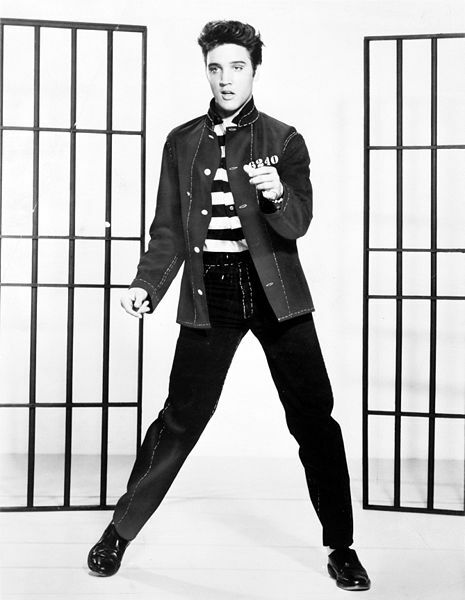 We know now that Elvis was on more drugs than Anna Nicole Smith, but at the time, it wasn’t widely known that he had a veritable pharmacy in his system. In fact, he had gone to Richard Nixon to complain about the prevalence of drugs in the entertainment industry. Despite a series of kind of crappy concerts – he was out of shape and self-conscious about his appearance, and it showed – he was getting ready to embark on a new tour on August 17, 1977. He didn’t make it. The day before, his fiancee Ginger Alden found him dead on the floor of his bathroom at Graceland. At first the public was told his death was due to cardiac arrhythmia, which wouldn’t have been too unbelievable giving the amount of weight he had gained; he had also been having some obvious breathing troubles onstage. But it didn’t take long before the truth emerged: his very own Dr. Feelgood, Dr. Nick, had been prescribing massive amounts of pills for a very long time. His autopsy revealed that he had 14 drugs in his system when he died; 10 were in large quantities. They included Morphine, Demerol, the antihistamine Chloropheniramine, Valium, Placidyl, Codeine, Ethinamate, Quaaludes and an unidentified barbituate. It’s rumored that he also had Diazepam, Amytal, Nembutal, Carbrital, Sinutab, Elavil, Avental, and Valmid in his system. It’s a wonder that he didn’t die sooner, really. When Mark David Chapman killed John Lennon by shooting him four times at close range, the entire world immediately went into mourning. On December 8, 1980, John and Yoko were coming back to their apartment at the Dakota in New York after an evening recording session. Waiting in the shadows of the building’s archway was Chapman, an obsessed fan who had approached Lennon earlier in the day for an autograph and a photo. 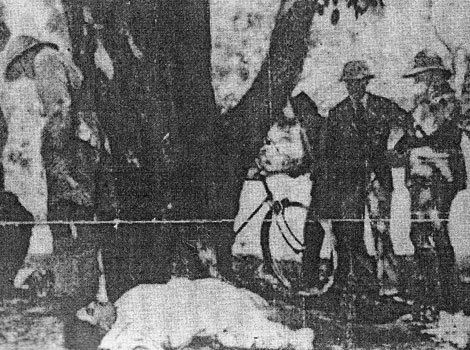 Of the five hollow-point bullets Chapman fired, four of them hit Lennon and inflicted severe injuries. At least one of them punctured his aorta. 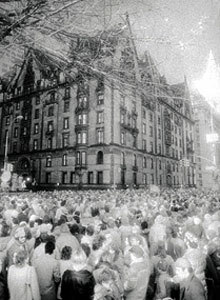 Lennon managed to get six stairs up to the doorman before he collapsed; the doorman took the gun from Chapman’s hand and covered Lennon with his jacket. Police loaded Lennon in the backseat of the police car and drove him to the hospital immediately and said that acknowledged that he knew who he was and fell unconscious shortly after. He was pronounced dead upon arrival at St. Luke’s-Roosevelt Hospital Center where the cause was determined to be hypovolemic shock caused by more then 80 percent blood loss. Crowds gathered in Central Park outside of the Dakota singing and chanting and apparently keeping Yoko Ono awake. She asked them to give her a little peace, but please come back the following Sunday to help her observe 10 minutes of silence for her slain husband. Not only did they come back, the whole world decided to get in on the tribute. More than 100,000 people gathered in Central Park on Sunday, December 14, and 30,000 people in Liverpool followed suit. Princess Diana is the first shocking death I really remember. On August 31, 1997, the Princess and her boyfriend Dodi Al Fayed were being driven in Paris just after midnight. Their driver was trying to evade paparazzi and was driving at speeds much higher than the recommended 30 mph – some reports estimate that he was going at least 65 and others say 90. He lost control of the car in the tunnel and plunged into a support pillar. Al Fayed died at the scene, as did the driver. The other passenger survived. 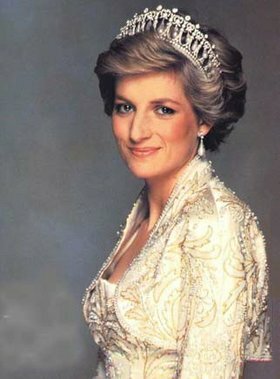 Diana died of her internal injuries a few hours later at the hospital – the crash had jolted her body so severely that her heart reportedly was displaced to the right side of her chest. Her death was announced at 5:30 a.m. People worldwide were horrified and saddened and more than three million people showed up to mourn her during her Westminster Abbey funeral on September 6. So many flowers and gifts were left outside of Kensington Palace that the public was asked to refrain from bringing any more items because they were becoming safety hazards. While not exactly in the same vein as Princess Diana or Elvis, Dale Earnhardt’s death certainly stunned the sports world. He was just completing the last lap of the Daytona 500 on February 18, 2001, when the left rear corner of his car hit driver Sterling Marlin’s front bumper. 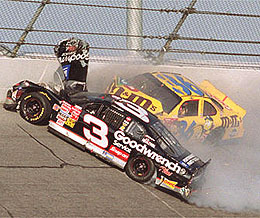 This made Earnhardt veer sharply left, then sharply right toward the concrete retaining wall. Just as his car was hitting the wall, Ken Schrader’s car ran into the #3 black Goodwrench car. To most people, this didn’t seem like such a huge deal – for NASCAR, this was a relatively common accident and they had seen Dale come out unscathed after much worse crashes. The two cars slid down toward the infield grass and Schrader got out of his car, appearing to be completely fine. He walked to the #3 car and looked inside to check on Dale, then immediately signaled for help. It turned out that Earnhardt died instantly, but wasn’t officially pronounced dead until he was examined at Halifax Medical Center. His injuries included a fatal skull fracture, eight broken ribs, a broken ankle, a fractured breast bone, and collarbone and hip injuries that indicated his seat belts did not fail. Sterling Marlin started receiving hate mail and death threats, Earnhardt’s #3 car was retired, and fans paid tribute to Earnhardt by holding up three fingers for the third lap of every Winston Cup race for the next year (I’m sure some people still do it). Even television announcers stopped commentating for the third lap. Do not weep for me when I no longer dwell among the wonders of the earth; for my larger self is free, and my soul rejoices on the other side of pain…on the other side of darkness. Do not weep for me, for I am a ray of sunshine that touches your skin, a tropical breeze upon your face, the hush of joy within your heart and the innocence of babes in mothers arms. I am the hope in a darkened night. And, in your hour of need, I will be there to comfort you. I will share your tears, your joys, your fears, your disappointments and your triumphs. in the arms of God. I walk with the angels, and hear the music beyond the stars. I am peace, love, I am a soft wind that caresses the flowers. I am the calm that follows a raging storm. I am an autumns leaf that floats among the garden of God, and I am pure white snow that softly falls upon your hand. with a smile and a sigh. The fact is that these people were ‘celebrities’, and that’s all. I don’t think Jackson’s death didn’t send a shockwave around the world, it only made me shrug and continue about my day. This just allowed some people a chance to grab at their own attention for a few minutes. People die unexpectedly every single day, far better people who do far more for their fellow man than stand in the public eye and reap the benefits. He was just a celebrity (as were all of these people – for all the ‘good’ Diana did, that’s all she was in the end), I doubt many of us knew him personally to be seriously grieving the loss, and I think the world will carry on just fine without any of them.